In the premise of being and keeping this honest I have to admit I am a bit of a scientist myself. I truly believe that Thomas Locke has done a great deal of research both in Quantum Physics as well as in Biology. It isn't just my assumption that he has done this, but it's based on the terminology he uses. As in the case with his first book in the Fault Lines Series the characters are well-rounded, believable and have a great care and concern for one another, and this includes that for those who are on the offense (the bad guys). Lena Fennan is a Wall Street Junior Analyst working for a major banking firm. She has acquired the means to not just change her own life but that of others who are struggling as well. She is given an invitation to do more, to be more and she finds the events exciting and thrilling, and yet she finds it all can tear her apart in a moment. A secretive, clandestine organization helps with the release of Reese Clawson and she's gripped by a bad case of revenge for those who destroyed her - including Charlie Hazard. What neither women know could reshape them either to the point of oblivion or push them past a Flash Point in their lives. Considering the fact I love the sciences and how well written this book is by Thomas Locke I had to give it five stars. 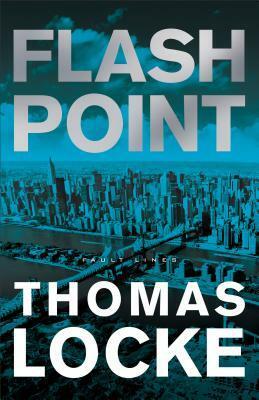 Sign into Goodreads to see if any of your friends have read Flash Point.